Skin markers are one of the most important tools that technologist use. These radiographic markers give rad techs the ability to highlight specific areas of the skin through the use of bb markers, wire markers, semi-translucent, & scar tissue wire markers. Save time, improve accuracy, enhance communication, and provide a better patient experience. Techno-Aide offers many different types of radiology skin makers. 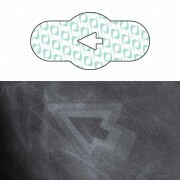 Our product line consists of a broad range of radiologic skin markers for mammography, breast biopsies, radiation therapy, MRI, CT scans & general radiology. Our markers have been designed to fix the problems associated with older or outdated markers-artifacts, burnouts, & skin irritation. We offer skin markers for both analog & digital. Best of all our skins markers are 100% lead free which makes them environmentally friendly. 100% latex free which makes them patient safe!